Affordable and accessible composite material training courses for all. 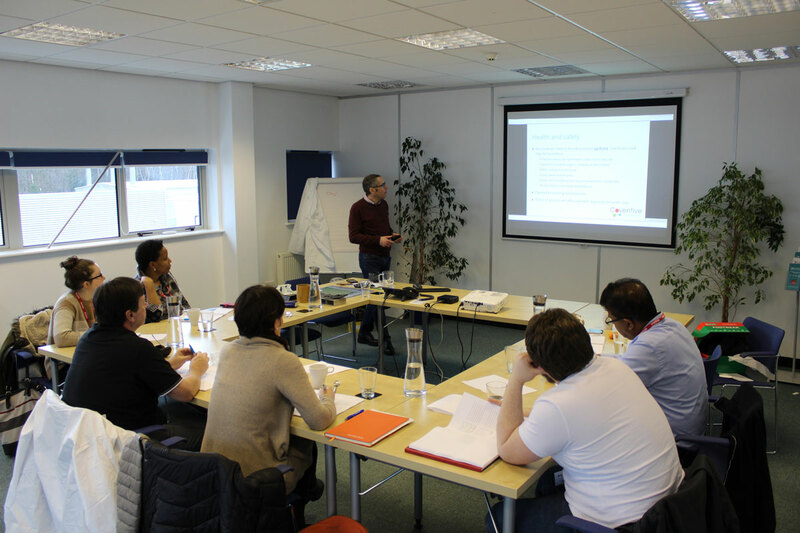 Designed to give a broad introduction to polymer composites, our one-day classroom course provides attendees with the necessary background knowledge to enable informed discussions with customers, colleagues and collaborators. The course aims to provide a gentle but thorough introduction to composite materials - how they work, how they are made, what they are used for and what advantages (and disadvantages) they can bring. By the end of the course, all attendees will understand the basics of what a composite material is, what ingredients go into making a composite and how composite materials are converted into finished parts. Introductions to wider aspects such as introductions to market segments, repair and design can also be covered. The course is suitable for anyone that is looking for a comprehensive introduction to composite materials. This includes, for example, designers who are familiar with metals but who want to understand how composites differ, new starters in the composites industry, existing composites staff in non-technical roles (e.g. sales, marketing, human resources, etc.) who want to learn the "language" of composites so they can communicate more effectively with colleagues and customers, and interested outsiders who would like to learn more about the composites industry and the opportunities it provides. The course assumes no prior knowledge of composites, nor necessarily any scientific or technical background. The modular structure of the training allows us to start with the very basics, and then build upon that foundation to a level of detail appropriate to the audience. We'll walk you through the fundamentals of composites – what they’re made up of, how they work, their properties and characteristics, and their advantages and disadvantages compared to other materials. We begin by providing a general introduction to polymers, explaining what they are and how they differ from other materials. We then look more closely at the differences between thermosetting and thermoplastic polymers before highlighting some of the commonly used examples and comparing their performance. This module gives an overview of the different types of reinforcements that are commonly used in composites and compares and contrasts their performance. We also introduce the concept of self-reinforced polymer composites, as well as discussing other composite ingredients that may be encountered, including coatings, cores and fillers. Here we review semi-processed composite materials such as fabrics, prepregs and moulding compounds in order to understand the drivers behind their use and their methods of manufacture. There are a wide range of manufacturing options available for consolidating fibres and polymers into moulded composite parts. These range from labour-intensive, low volume processes to sophisticated automated technologies capable of higher volume continuous production. The choice of manufacturing route for a given part will be largely driven by its required properties and the number of parts needed. This module provides an overview of the common composite manufacturing processes and provides guidance on their usage. This module explores the strengths and weaknesses of composites and discusses some of the the key considerations that must be taken into account when specifying a material for a given application. Using a sector-by-sector approach, we explain why and when composite materials are used in place of other “conventional” materials and provide an overview of current and emerging applications. In this module, we provide an introduction to composite material failure, including mechanical failure, environmental degradation and fire. From here, we outline some of the techniques which have been developed to examine and inspect composite materials and highlight a number of repair techniques that can be employed. The overall performance of a composite will be largely dependent upon the properties of its constituent fibre reinforcements and polymer matrix. This module examines the properties of typical fibres and polymers, and shows how these can be used to estimate the properties of a resulting composite. Designing with composites is generally more complex than designing with metals. Much of this complexity arises from the directional properties of composites and their multi-material nature that gives rise to various possible failure modes. This module provides an introductory overview of some of the options that are available to a designer when estimating the properties and performance of composite parts. Particular attention is given to the specific challenges associated with composite design with the intention of helping designers to make an informed decision as to the most suitable approach for a particular analysis. All delegates will receive printed copies of the course material. Average Rating: 4.56 from 9 reviews. 100% would recommend our training courses to a colleague and 100% rated this course with 4 or 5 stars. It was a well rounded overview as the background and design process from start to finish. It is useful to have everything summarised like this, even if you have some composites knowledge. An excellent course, well presented. Thank you, a very interesting first step. Provided clear and easy to follow introductory material on composite materials. The slides very detailed and the presenter provided additional information to support the contents. Thank you for an excellent intro into composite materials! To understand better the fabrication and different types of composites. It provides a good overview of composite materials and processes, even if you have a composites background. Good oversight on composite materials and processes. The presenter was very knowledgeable. Very useful starter if someone if interested in looking into the composites industry - especially design.